Real Men Read, Delaware | it's yaytime! 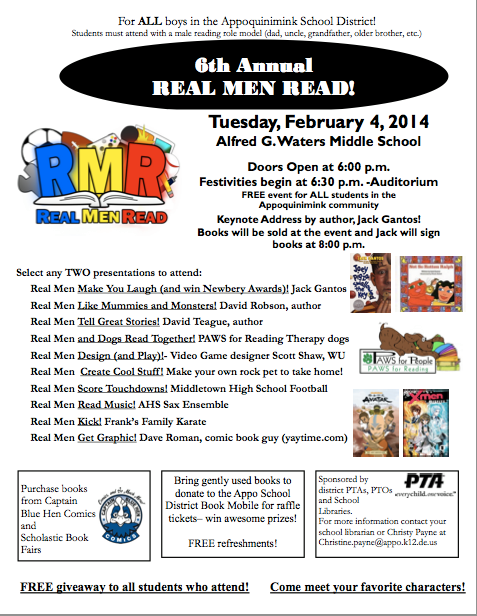 6th Annual Real Men Read! February 4th at Alfred G. Waters Middle School. Keynote Address by author, Jack Gantos! Books will be sold at the event.